Understanding how to go about solving legal problems is a critical skill law students require in order to achieve success at law school and later in professional practice. This innovative text is a guide to developing students' critical thinking in solving legal problems through the application of the principles of logic. 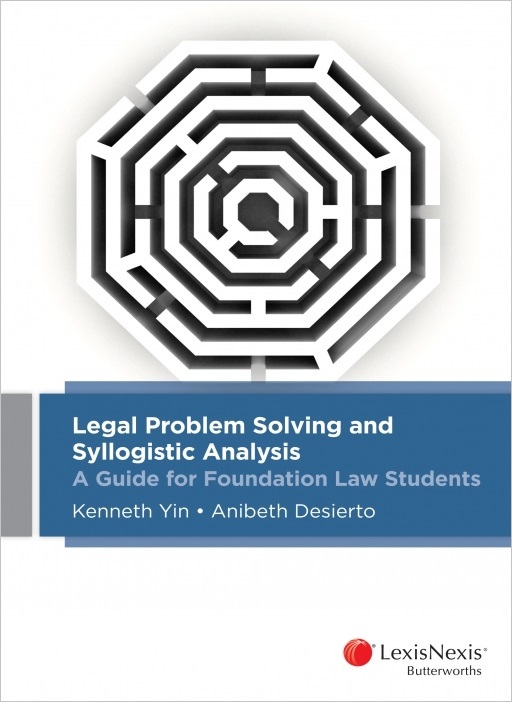 The authors explain how syllogistic analysis provides the underlying basis for legal problem solving using the IRAC method commonly taught in foundation law studies. Drawing on everyday examples, the processes of everyday reasoning are used both to deconstruct and reconstruct the reasoning itself. The step-by-step approach demonstrates the application of legal reasoning and research to generate appropriate responses to legal issues. It assists students to engage in critical analysis so as to make a reasoned choice amongst alternative responses to those legal problems.